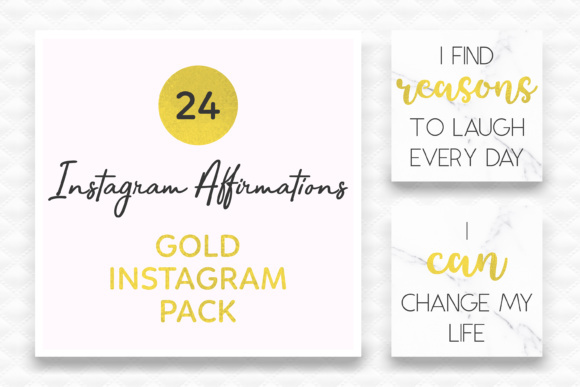 Coming up with enough content to keep your Instagram followers engaged can be hard work. 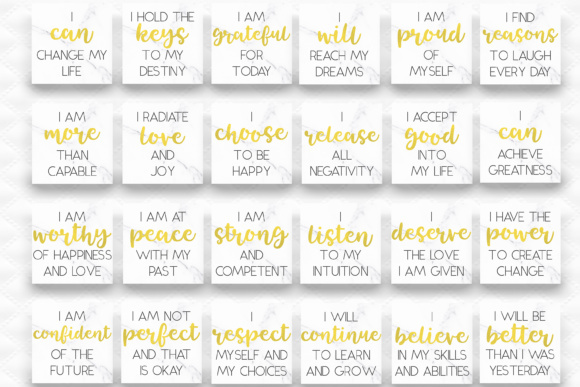 Save yourself some time with this collection of affirmations with gold and marble accents. – 24 x square PNG Images (3000 x 3000) – Transparent for you to overlay onto your own photos. Please note that the transparent PNG’s only show the black and the gold, not the marble.